‘Vighnaharta Ganesh’is an upcoming Hindi Mythological tv show which is launching soon on Sony Television channel. 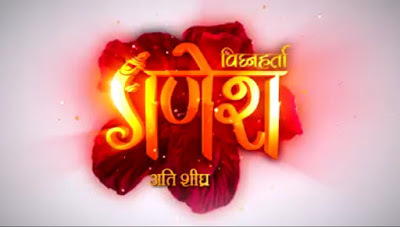 Sony Tv recently launched new show Pehredaar Piya Ki which will be quite popular before telecast. The serial is producd by Abhimanyu singh under the banner of Contiloe Picture Pvt Ltd.
#VighnahartaGanesh believed in the power of struggle which eventually helped him succeed. Get ready to be motivated by his journey by being a part of it from 22 August, 8 PM onward only on Sony Entertainment Television. Recently, the company won the ‘Dadasaheb Phalke Film Foundation Award’ for its popular show ‘Sankat Mochan Mahabali Hanuman in’ the Best Mythological Show category. ‘Hunuman’ also airs on SET at 8 pm, every Monday–Friday. The show, which traces the legend of Lord Hanuman, also achieved the milestone of completing 500 episodes. Jaanna chaahte hai ki jinke jeevan ka aarambh hua vighna se, woh shrishti ke vighnaharta kaise bane? Dekhiye #VighnahartaGanesh, shighra hi Sony Entertainment Television par. The show will tell some untold stories about Ganesh and will be shot with motion capture camera, which is a first for an Indian TV show.